The good Janet Yellen (71) was praised for moving the US economy from crisis to stability. She will be succeeded by Jerome Powell. 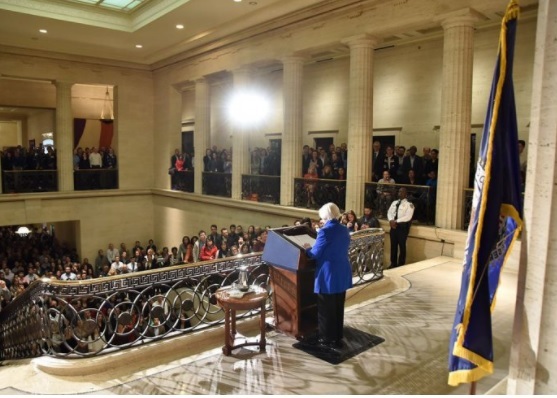 As she leaves the Fed, she will be heading to her new job at Brookings Institution under economic studies program as a distinguished fellow in residence. At the think tank, she will join Ben Bernanke who served as Fed Chairman before her during Barrack Obama’s time.